For many years Marlies Fröse has been working in the field of Organisation Development, Management Theories, Human Resource Management and Leadership, Mixed Leadership, Gender and Diversity, Conflict Management and third sector research. She is interested in the subjects of leadership, organisation development and conflict management. Her understanding of organizations is a combination of theory of management and organisations, analysis of organisations and personal governance / personal development (published as Darmstaedter Management Model, Froese 2004). She has a PhD in education from the University of Osnabrück (Germany) and trained as consultant and supervisor. Since 2010 she works at the Lucerne University of Applied Sciences and Arts – School of Social Work (Switzerland) as a Lecturer and Project Manager at the Institute of Social Management, Social Policy and Prevention. She is a member of the Competence Center „Social Responsibility and Management“ and the head of the Master’s Program in Social Work. 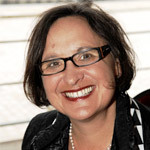 Between 1998 and 2010 Marlies Fröse worked as professor at the Protestant University of Applied Science in Darmstadt (Germany), where she was the Director of the MA-Programme „Management in Social Organisations“ focussing on the so-called Darmstadter Management Model (devised for experts and managers of social welfare organisations) which not only teaches management and leadership skills and competences to its students; it qualifies students to obtain competent skills in organisational development. The program aimed at contextualizing scholarly reflexion with reference to practical work situations of a social welfare organisation and with reference to personal development. From 2005-2010 she was also partly responsible for the Master’s-Program „Management in Church and Diaconia“ of the University Heidelberg and four other universities of applied sciences. From 2009-2013 she was faculty member of the Austrian Business School (LIMAK) at the Johannes Kepler University (Linz, Österreich) in the field of Leadership.